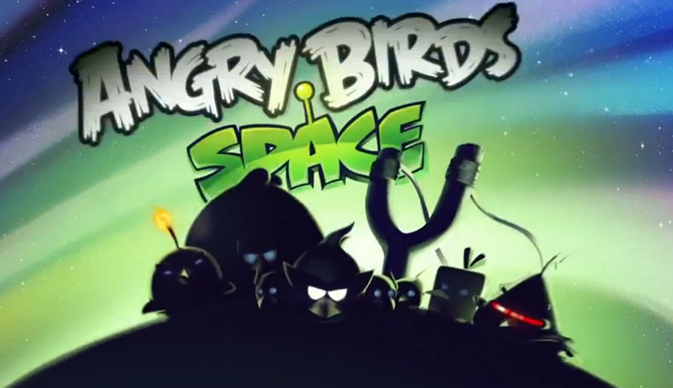 ALL NEW ANGRY BIRDS GAME FROM ROVIO — the #1 mobile game of all time blasts off into space! After a giant claw kidnaps their eggs, the Angry Birds chase it into a wormhole and find themselves floating in a strange new galaxy – surrounded by space pigs! Luckily the Angry Birds have super powers of their own… Angry Birds Space features 60 interstellar levels on planets and in zero gravity, resulting in spectacular gameplay ranging from slow-motion puzzles to lightspeed destruction. With regular free updates, new in-app purchases, brand new birds, brand new superpowers, and a whole galaxy to explore, the sky is no longer the limit! FEATURES • 60 interstellar levels! • Regular free updates! • Brand new birds! • Brand new superpowers! • Zero-gravity space adventures! • Trick shots using planets’ gravity! • New in-app purchases! • Hidden bonus levels! • Beautifully detailed backgrounds! DANGER ZONE • In-app-purchase for the ultimate Angry Birds fan! • 30 of the most difficult levels EVER! • Can you master the DANGER ZONE? SPACE EAGLES • Open a wormhole of destruction with Space Eagles! • Aim carefully to wreak havoc on the pigs! • Earn through gameplay or buy in-app • New goals and achievements! Join the global phenomenon as it goes galactic!